Why the ketogenic diet? 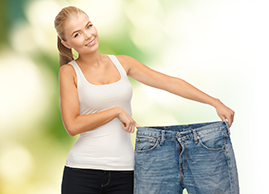 The ketogenic diet is high-fat and low carbohydrate, which is beneficial for weight loss. Foods in the ketogenic diet include fresh meats, fish, vegetables, healthy fats, and oils. Eating a high-fat diet will keep you satiated longer, which result in fewer calories, and cut the need to eat as often. Carbohydrates and sugars cause a cycle of insulin spikes followed by crashes, which may lead to prediabetes and type 2 diabetes. The ketogenic diet eliminates insulin spikes and helps reduce the risk factors for diabetes, decrease blood pressure, reduce Alzheimer’s, increase cerebral circulation, reduce blood sugar, reduce triglyceride levels, reduce blood pressure, improve levels of HDL (good) cholesterol and LDL (bad) cholesterol; and possibly prevent strokes, migraines, and epilepsy. Eating a diet higher in fats will make your body more efficient at burning fat as fuel. As a result of eating a diet higher in fat, you will eat less food daily and your body will burn stored fat, which results in weight loss. As you can see below, fat has more than double the calories of carbohydrates. Fat as a fuel provides a consistent energy level and does not spike blood glucose, so you don’t experience fluctuations of energy (high then low) as in eating carbohydrates. Having a consistent energy level will allow you to be more productive throughout the day without feeling tired and/or lethargic from blood glucose spikes. What are the different types of ketogenic diets? Standard Ketogenic Diet (SKD)- What is most commonly read and heard about. Carbohydrates (net carbs) are usually 20-50g per day with a moderate amount of protein and high in fat. Targeted Ketogenic Diet (TKD)- Consuming carbohydrates before and after intense exercise. This allows the body the necessary energy to perform at a higher intensity. Cyclical Ketogenic Diet (CKD)- Follow a Standard Ketogenic Diet for 5-6 days with a short period of 1-2 days of high carbohydrates, famine then feast. 1) Often called “The Ketogenic Diet” eating keto is a lifestyle, not a diet. If you’re looking to lose weight eating keto then go back to burning carbohydrates as fuel, the weight will come back. The purpose of greatly reducing carbohydrates and eating more fat is to go into ketosis and use fat as fuel. Once you’re in ketosis you’ll reap the many benefits one being weight loss. 2) Not eating enough fat- The minimal percentage of fat in a keto diet is 70-75%. Science based keto diets are 80% fat, 15% protein, 5% carbs. Therapeutic keto diets are 90% fat, 8% protein, 2% fat. 3) Being impatient- Expecting your body to burn fat as an energy source within a day or two isn’t going to happen. It takes time and the correct foods for your body to deplete itself of carbohydrates and transition to ketosis. 4) Misunderstanding “Keto flu”- Keto flu occurs as our body transitions from burning carbohydrates to fat burning. Symptoms can be fatigue, headache, hunger, cramps, flu-like symptoms, restless sleep, blurry vision, and headaches. These symptoms are due to a lack of electrolytes. The most common electrolytes are calcium, magnesium, phosphorus, potassium, sodium and chloride. Many of these electrolytes can be found in bone broth or the foods listed below. 5) Not drinking enough water- Water will assist in the breakdown of more fat as ketones are eliminated in your urine and replaced by new ones. Clear urine equals hydrated and yellow urine equals that your body needs more water. 6) Eating too much protein- aka gluconeogenesis, protein is converted into glucose (similar to carbohydrates) knocking you out of ketosis and back into glucose burning. Depending on activity level and as your body becomes more keto-adapted higher amounts of protein may not take you out of ketosis. 7) Eating processed keto foods- Know what in the food you’re eating, avoid hidded carbohydrates. Fasting is withholding all food and liquids except water. Intermittent fasting is a pattern of eating over a period of time. For more information or questions on how a ketogeinc diet works please go to contact form.